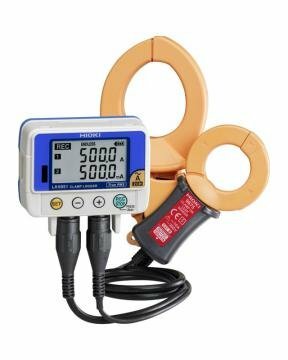 Hioki compact 1 or 2-channel data loggers feature a 60,000 data set/channel memory to measure temperature, humidity, voltage or instrumentation signals. The LR5051 logs current over 2 channels in as fast as 1 second intervals. Customers using the previous Model 3636-20 Clamp Logger should note that the LR5051 can only record 15,000 points of average data, vs. 32,000 data points available in the 3636-20.